When you have a car to sell, why go through the hassle yourself when we can do it for you? We have many years of experience successfully selling customer's cars for them. In some instances we may be interested in buying your car directly for our inventory. Our consignment clients often don’t have the time to sell their vehicle themselves, or may need a little more than what the trade-in value is worth. In that case, we can broker your vehicle sale for a small fee upfront to cover detailing costs and inspection. Then, we charge a reasonable commission once the sale is complete. To start the consignment process submit the form below and our owner, Bill, will follow up with you to discuss specific details and answer your questions. 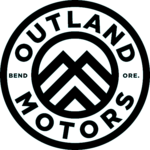 Or email bill@outlandmotors.com to have your questions answered up front.